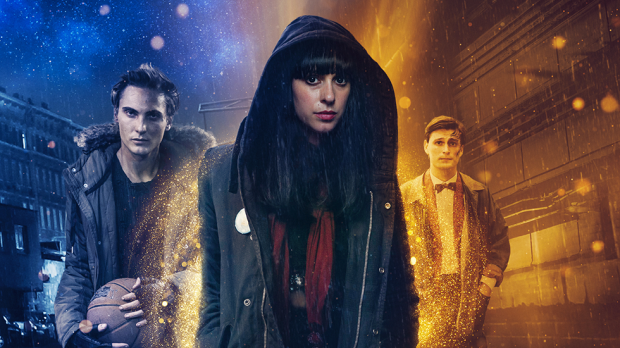 Starring Jessica Falkholt, Jerome Meyer and Eamon Farren, Harmony is a story of a super-empath, an orphan born with the power to absorb the fear of others. At 21, Harmony (Falkholt) is alone and destitute as she tries to control her power. But her gift comes with suffering, ever increasing as she is haunted by Jimmy (Farren) who thrives on fear. Her world starts to change as she crosses paths with Mason (Meyer), an awkward and innocent soul, who has the effect of shifting the universal powers around them as they start to fall in love. With a universal storm of negative energy encroaching, Harmony must find the strength to control her power to save herself, the one she loves and the world around them. Harmory is the first chapter in The Five Frequencies Saga, a supernatural story about the universal balance between the emotions of fear and love. We’ve got 5 in-season double passes to giveaway to Harmony – The Five Frequencies Saga Part 1, in cinemas October 4. To enter simply email us here at win@xpressmag.com.au with HARMONY in the subject line then tag the mate you want to take on the Facebook post. Don’t forget to like the X-Press Facebook page and sign up to the newsletter to be in the running! Competition closes Wednesday, October 3 at 5pm. Please only enter if you can attend. You must be a Perth, WA resident and able to pick up your prize from our office in North Perth.